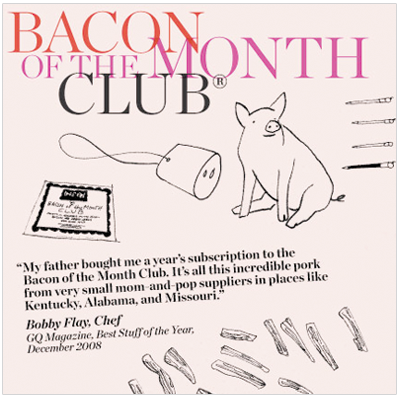 For all you bacon lovers out there: yes, there is a bacon of the month club. Not only do you get bacon every month, but you also get a pig ballpoint pen and a rubber toy pig (that last one is a real draw for me). Check out the site for other porky finds like bacon popcorn and toilet paper (real mixed feelings on this one)!